Our team is dedicated to your overall health and well-being. 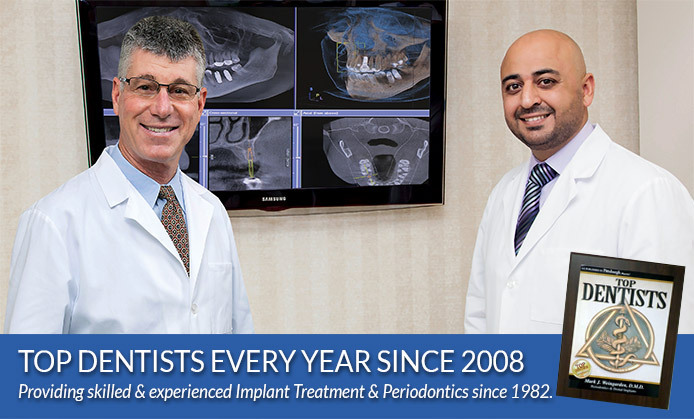 We have been leading providers of dental implants and periodontics since 1982. 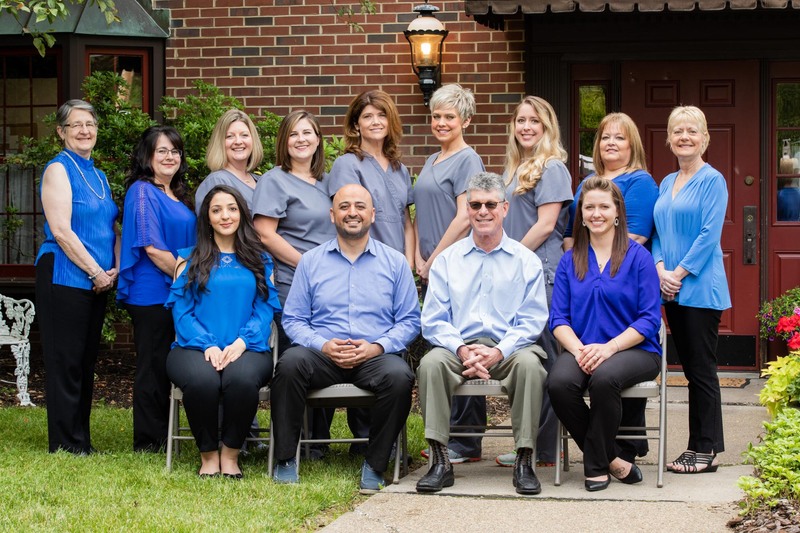 As periodontal specialists, Dr. Weingarden and Dr. Bakuri have advanced training and experience in gum disease treatment and prevention, dental implant placement and gum recession treatment. 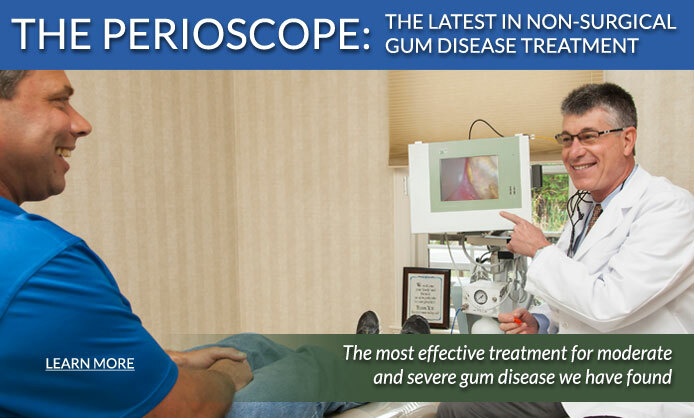 We are one of the only practices in the Greater Pittsburgh area that can treat severe gum disease completely non-surgically using a special periodontal device called the Perioscope. 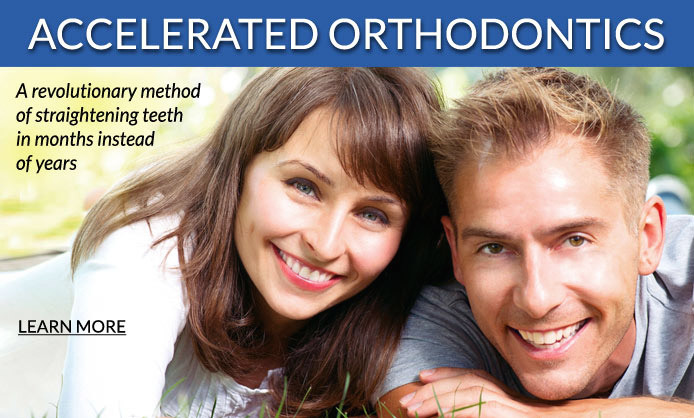 This state-of-the-art periodontal treatment is non-invasive, and an effective alternative to traditional treatment of moderate and severe periodontitis. Learn more about the Perioscope. Ryan Clark, former Pittsburgh Steeler, talks about his experience at Pittsburgh Implants & Periodontics. We are well known in the Greater Pittsburgh dental community for our excellence in periodontal procedures and implant placement. We see patients not only from our community, North Hills and Pittsburgh, but also patients who travel substantial distances for advanced treatments and for our non-surgical periodontal disease treatment. 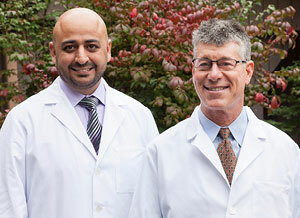 Dr. Weingarden and Dr. Bakuri are uniquely trained in an interdisciplinary approach to periodontics, which takes into account all dental issues. This gives them the background to fully understand and resolve even the most challenging needs of a patient. 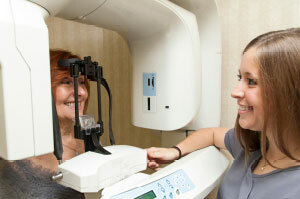 CT scanners are used to give our doctors a detailed look at your teeth and jaw. 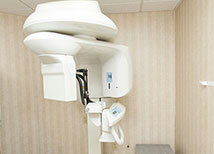 We use a state-of-the-art cone beam CT scanner to provide 3D images in 360º view of your teeth and jaw area. 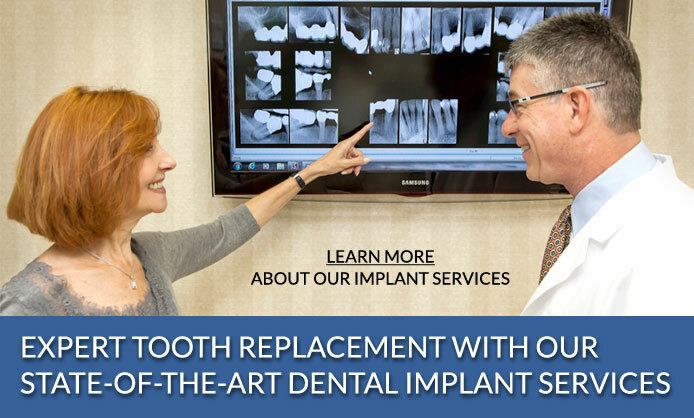 This means we can plan the implant surgery ahead of time, making your surgery efficient. 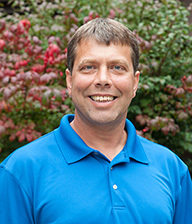 Dr. Weingarden has been providing implant services for about 30 years, and he was one of the earliest providers of dental implant services in Pittsburgh area. No referral is needed to visit our office. Patients come to us directly for their gum and dental implant needs as well as being referred to us by their general dentist. We can help patients with moderate to severe gum disease, provide cosmetic gum treatment, and all implant procedures, from one dental implant to a full-mouth reconstruction using implants. Patients choose to come to us for our additional knowledge, training and experience in our area of focus, and for the peace of mind that gives them. 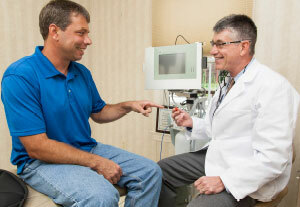 Our doctors and staff are very friendly and take the time to answer all your questions. You’ll always get a warm, friendly welcome when coming for your visit. And an offer of fresh coffee or tea! We have a great staff of healthcare providers who genuinely care about our patients. Each patient’s concerns are important, and our doctors and staff will always take the time to listen to our patients and to fully explain their treatment. We are a well-trained, knowledgeable and cohesive team and we get along great and enjoy our work. 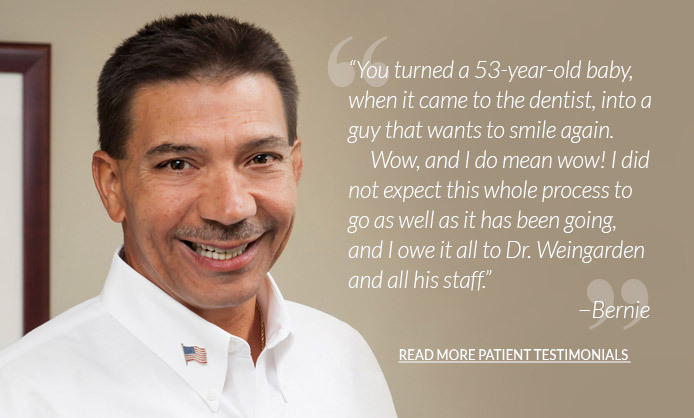 Nothing pleases us more than helping our patients recover their oral health and smile! Dr. Weingarden and Dr. Bakuri will make sure that you are always comfortable and doing well, both during and after treatment. 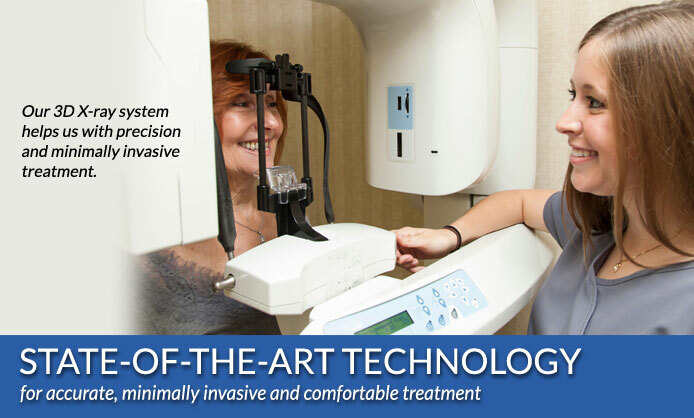 We use the latest technology to provide you with minimally invasive treatment, which reduces the amount of time in the chair and post-treatment discomfort. Sedation is available for anxious patients and longer procedures. We take all measures to ensure patients do not experience pain in our office. 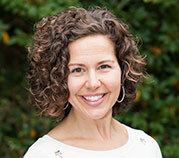 Dr. Bakuri and Dr. Weingarden lecture nationally on preventative treatment for gum disease. 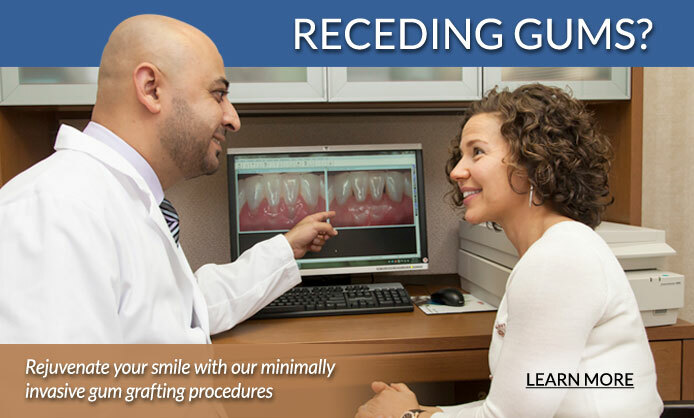 We are nationally recognized leaders in providing preventative gum disease care. We are frequently asked to lecture on the subject, and we also host other dentists and hygienists in our practice so they can observe our preventive techniques. Preventive services are one of the keynotes of our practice. We believe the best treatment for our patients is no treatment if at all possible. All our gum disease programs begin with an in-depth evaluation of the extent of the gum disease, extensive education and a custom home care program to help combat the disease. Along with our effective, non-surgical treatment, this can often prevent gum disease from becoming more severe, avoiding bone loss and other repercussions. 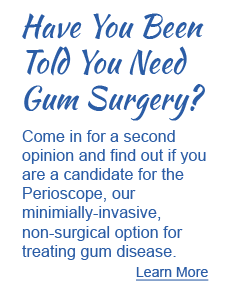 Learn more about our treatment for gum disease.